Colorado Attorney Services provides the residents of Pueblo, CO with superior services on service of process for documents such as divorce, child custody, foreclosure, small claims, collections and much more. Legal paper work can be overwhelming and which papers to gather together to be able to serve to the defendant. We want to help you in the process of what can be a difficult time. Laws govern who can serve such documents and the defendant you’re serving to govern who you really want to serve them. There are some cases where the person you’re needing to serve the papers to may have a violent or alcoholic history causing your pick of people to be limited on who will serve the papers. No matter what the case is Colorado Attorney Services can help in process of serving. We deal with those who have a violent past and know what the proper safety measures are to take to make sure the job is completed. We have built our company on the foundation of honesty and respect. With each person we do business with we make sure to treat them with dignity by listening carefully and carrying out their needs. In all our words and actions, we uphold our integrity. 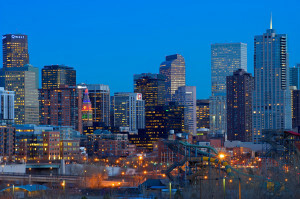 Colorado Attorney Services welcomes the opportunity to do business with you and gain your trust!